In the year 1974, the film Rajnigandha hit the silver screen. It created waves, despite being a simple and straightforward film based on Mannu Bhandari’s story ‘Yahi Sach Hai’. The movie brought in a breath of fresh air amid the era of the “angry young man”, which was at its peak after Amitabh Bachchan in Zanjeer. 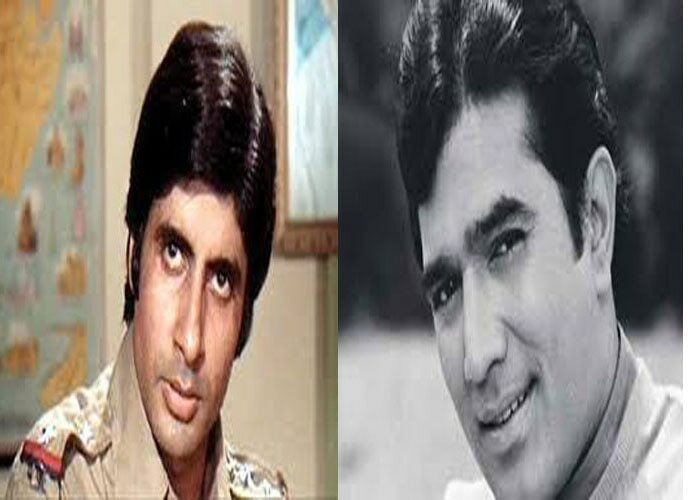 Also, superstar Rajesh Khanna’s magic was still working. It was at this juncture that Amol Palekar, “the boy next door”, landed into the film industry as the ordinary-looking, unassertive, shy and modest lead of Rajnigandha, which had Vidya Sinha, a new heroine, opposite him. The film did very well and the audience accepted this hero — who was actually an antithesis of the typical Hindi film hero — warmly. It was indeed a refreshing change for people to watch on screen this common man (characters given to him were mostly middle class, ordinary people, with whom the audience could easily identify). After Rajnigandha, Palekar enjoyed hits like Chhoti Si Baat and Chitchor (both were released in the year 1976). They were extremely entertaining films, and once again showed Palekar as the common man who struggles with day-to-day problems. In Chhoti Si Baat, he plays an accountant (Arun) who works in Bombay and is unable to impress the girl he loves (again Vidya Sinha). How he learns to become confident and suave from Ashok Kumar (Col Julius Nagendranath Wilfred Singh) is the focus of this film, which has many a memorable scene between Palekar and the veteran Kumar. The confidence that Palekar showed in playing his roles right from his first film owes a lot to his theatre background. He had started doing theatre in the late 1960s, after having studied painting at the JJ School of Arts in Bombay. Though the characters he played were often unsure of themselves and quite bashful at times, the actor himself was far from that! In the film Chitchor, he excelled as the overseer (Vinod) who is mistaken by the heroine’s parents to be the engineer who was to arrive in the village to meet them, and consider marriage with their daughter Geeta. The village girl turns out to be bolder than the “hero”, and insists that she will marry him and not the engineer, where he was perfectly ready to be the sacrificial lamb. An innate simplicity and goodness in Amol Palekar’s personality helped him greatly in doing justice to these characters. His sense of comic timing was evident in his films Gol Maal (1979) and Naram Garam (1981), in which we see him mostly creating humour with a straight face. His way of executing comic roles was extremely subtle, and his chemistry with Utpal Dutt, one of the finest actors we have ever had, made these films classics, which are enjoyed by every new generation. In Baaton Baaton Mein (1979), Palekar played with ease a Bandra-based Christian boy named Tony Braganza, who shied away from committing to marriage to the girl he loved (Tina Munim). Being a Bombay boy, this role did not need much homework. 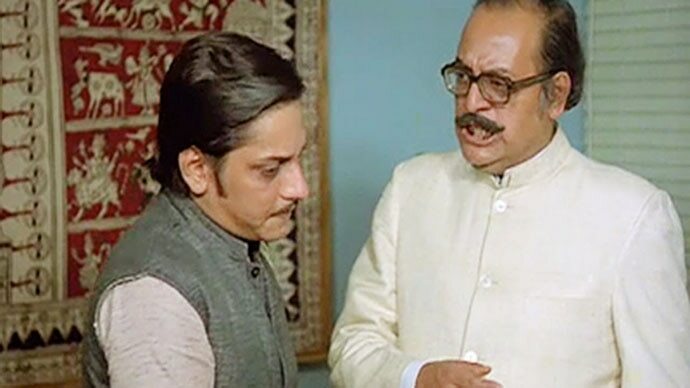 Palekar loved to break set patterns, and he did this again by playing a villain-ish character in Bhumika (1977), while he was enjoying his popularity as a new-image hero. Palekar has always said that he wanted to take up new challenges and break stereotypes and barriers. He produced and directed too, played even these roles very well. The serials he did for television and the films he directed exhibit his sensitivity as an artist. The people who called him ‘plain-looking’ when he first appeared on screen realised soon enough the power of his natural performances, often underplayed with a quiet energy. His wide, ear-to-ear smile was another thing that made people love him. Here’s wishing a happy birthday to this fine actor and director, who has been entertaining us through films that might very well have looked out of place to his audiences in the 1970s . Those were the days of blockbusters like Aap Ki Kasam, Namak Haraam, Daag, Roti, Trishul, Deewar, Amar Akbar Anthony and of course, the hit of all times — the unforgettable Sholay! To have been able to make such a mark for himself with the rather quiet and mellow films he acted in was no mean feat. And to carry on giving successful films as an actor, later, as a director, established him forever as one of the finest artistes of the Hindi film industry. Palekar wore many hats, and wore them well. But such was the magic of his performances that many will best remember him as Ramprasad Dashrathprasad Sharma and Lakshmanprasad Dashrathprasad Sharma! She is a journalist by profession, and has worked with United News of India, The Times of India and The Pioneer.